Mountain sports are what Chamonix is all about and it is very important if you are coming here for a short stay or the whole season that you have adequate insurance. Cancellation or inability to utilize pre-paid components such as lessons, accommodation, lift passes and hired equipment. Do you need the policy to cover beyond the resort piste boundaries i.e. off-piste and glacier skiing? Theft of valuable belongings. *When in any ski resort, it is important to be mindful of your personal belonging such as ski equipment. It is highly recommended to not leave items unattended, for example outside a cafe or in your apartment building hallway. Mountain activities that you will participate in during your stay – skiing/snowboarding, mountaineering, snowmobiling, ice climbing, paragliding etc. Search and rescue. Check that all factors of the rescue are covered including helicopter costs. The European Health Card applies only if you are an EU citizen. With this card you will have the same right to emergency treatment as the people who live in the country and a portion of the medical treatment costs will be covered. I say a portion, as it does not cover you entirely including repatriation, liability, and other medical costs. E-gloo protect can be bought jointly with your lift pass and is available at a daily rate of 3€. If you are staying for longer than a couple of weeks then it is advantageous to purchase the Carte Neige. 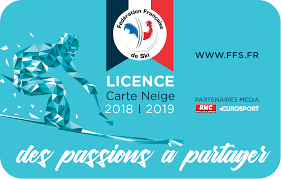 Carte Neige is a French based insurance and can be purchased online at www.ffs.fr. The main thing it covers is rescue and transport off the mountain if you are on or off piste and covers a wide range of sports. It is beneficial to have as an addition to your health and travel insurance as it is instantly recognised by the French rescue and medical services and it will pay for the rescue, some doctors bills and prescriptions within the resort. The annual cost ranges from 40€-60€ and you can buy it anytime of the year.